ohn Sittard, a native of Massachusetts, received degrees in Organ Performance from The Eastman School of Music (Rochester) and Indiana University (Bloomington). 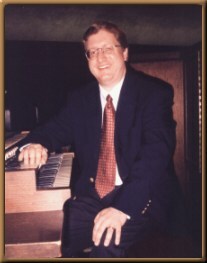 Mr. Sittard is currently Music Director at Saint Hugo of the Hills Church in Bloomfield Hills MI. Previously he was Director of Music at North Christian Church (Columbus IN) and Conductor of the University Choir at Indiana University-Purdue University Indianapolis (IUPUI). In 1995 Mr. Sittard was appointed Assistant Organist of the Basilica of the National Shrine of the Immaculate Conception (Washington DC), where he assisted Dr. Leo Nestor in conducting the basilica choir and played for nationally televised liturgies. He has served as Director of Music and Liturgy at Blessed Sacrament Cathedral and Diocesan Choir Director in Greensburg PA and Music Director at the Cathedral of Saint Paul (Worcester MA), where he oversaw the restoration of the cathedral's two pipe organs: a 1952 Casavant and a 1965 Wicks. While in Worcester, he served as 1999 American Guild of Organists Region I Convention Program Committee Co-Chairman. A prizewinner in several competitions, he has appeared in concert throughout the United States, including recitals at the National Shrine (DC), Saint Thomas Church (New York City), Longwood Gardens (Kennett Square PA), Hennepin Avenue United Methodist Church (Minneapolis) and Southern Illinois University (Carbondale). He also performed as soloist with the El Paso Symphony Orchestra. He is married to soprano soloist Siegrid Marks Sittard; they have one son, Luke.